Makenna Sendecki was hooked on dance from the moment she first tried it as a child. “Every year while growing up, I wanted to take more dance classes,” said the Dexterity Dance Studio owner. “Once I began teaching, I wanted to teach more classes and different genres,” said Sendecki. Eventually, she realized that the best way to feed her passion was to follow her dream and open her own studio. “Having my life revolve around the studio, the kidsand sharing my love and passion for dance makes me happy,” she said. After completing her business degree at Mount Royal University in Calgary, Sendecki knew she wanted to open her studio in Chestermere. “I feel like Chestermere is where I belong,” she said. “I’ve always had my heart set on being here, where I grew up, with the community that I know and love,” said Sendecki. Despite being a rapidly growing city, Makenna likes that Chestermere still has that small-town feel. “I like going to Safeway and knowing that I’ll see somebody I know,” said Sendecki. Fostering that sense of community within the studio and outside of the studio is important to her. Whether she’s decorating for Christmas, participating in community events or dancing in senior centers, Sendecki maintains her community centric values. 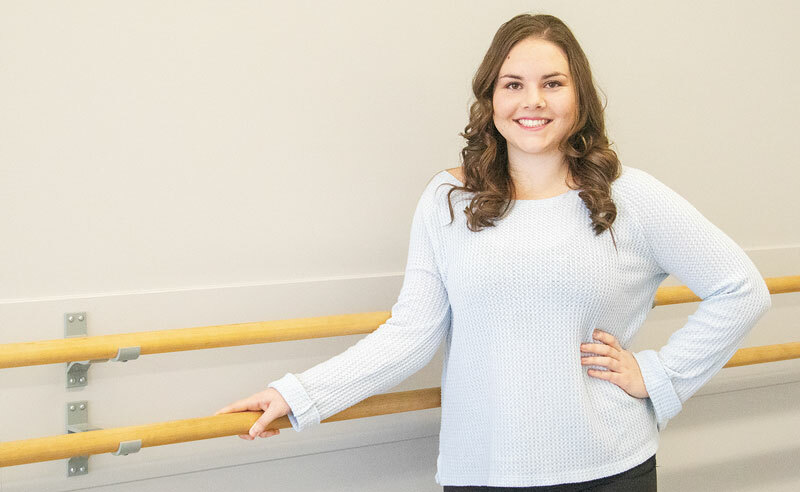 She opened the studio in September and like most new business owners, the majority of her time is spent making sure that Dexterity Dance Studio is a success. “This is my vision and I work day in and day out to try and bring the vision to life,” said Sendecki. Despite the hours she puts in, Sendecki said it often doesn’t feel like work. “Lucky for me it’s my passion, I’m not married, I don’t have children, so this is it,” she said. When she does get some free time, she likes to play guitar, spend time with her friends and most importantly hang out with her eight-year-old Shiba Inu, Kola.